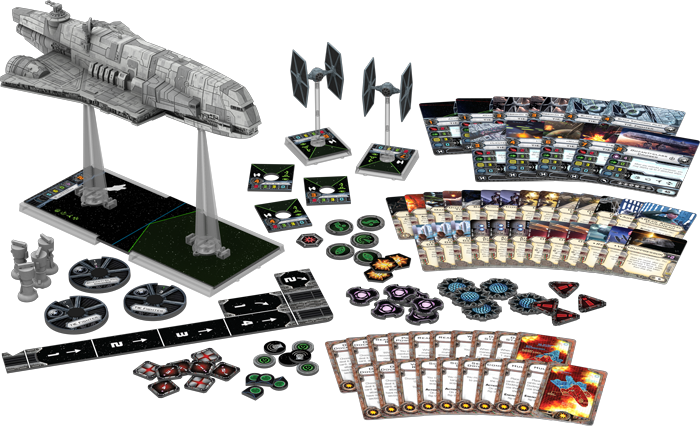 The Imperial Assault Carrier Expansion Pack for X-Wing™ is headed soon to a retailer near you. 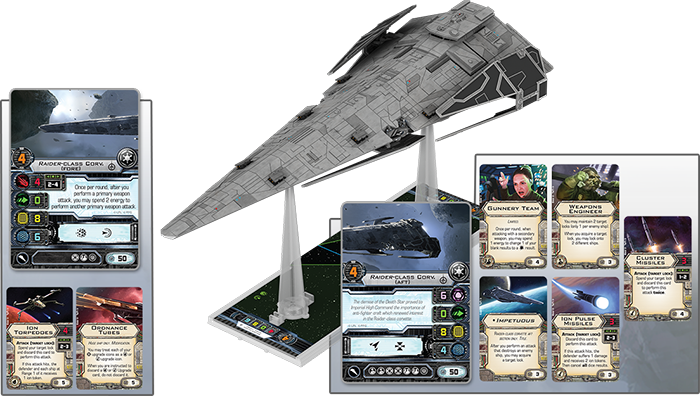 Scheduled to arrive throughout the United States in just a few weeks, the Imperial Assault Carrier Expansion Pack introduces the huge-base Gozanti-class cruiser to your Epic Play X-Wing battles. 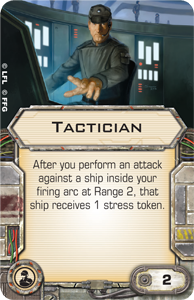 Additionally, its twenty-six upgrades permit a wide array of new Epic Play tactics for all your huge ships, and you'll find a wealth of new possibilities for Standard Play among the expansion's two new TIE fighters and their four new unique aces. 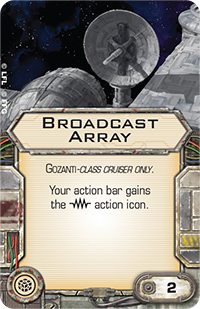 As we mentioned when we first announced the Imperial Assault Carrier Expansion Pack, you'll also find a new campaign of linked missions that highlight the Gozanti's ability to transport and deploy as many as four docked fighters. 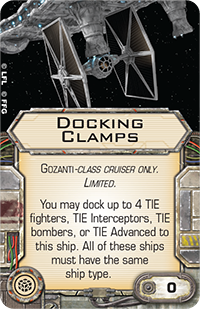 We'll look at the rules for docking and deploying your Gozanti's fighters in a subsequent article, but today we'll take a look at some of the tremendous dynamism and tactical depth that the Imperial Assault Carrier Expansion Pack adds to your games of X-Wing Epic Play. 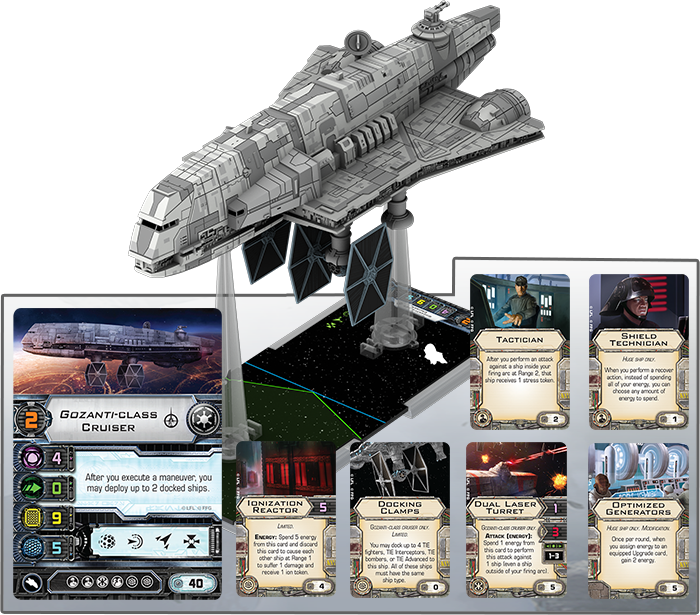 While X-Wing Epic Play utilizes the same basic rules set as your 100-point Standard Play matches, it offers a play experience that is distinctly larger in its scope and feel. Not only does the Epic Play format allow you to spend three or more times the number of squad-building points, it allows you to bring huge-base ships into the battle. 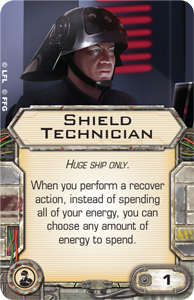 These huge ships contribute to the Epic Play format's distinctive feel in several ways. 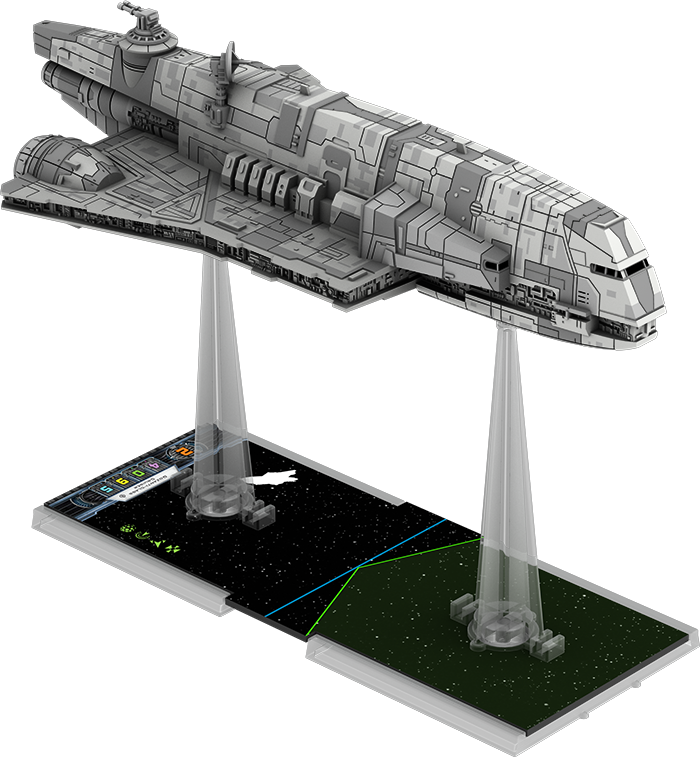 They're massive, towering over the game's small- and large-base ships, and they change the game's aesthetics accordingly. Suddenly, your squad-based skirmish is something greater. 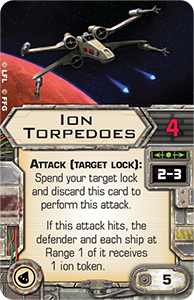 There's a new balance to the battle as starfighters and bombers clash alongside capital ships and transports. Of course, they're not just intimidating because they're physically larger. 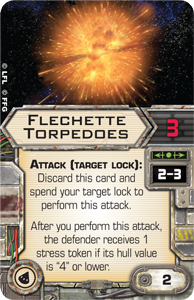 They maneuver differently, and they're capable of crushing smaller ships instantly, obliterating any they overlap. 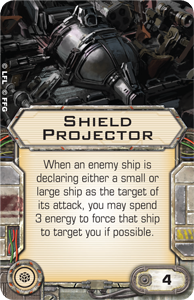 They also pair fantastically resilient combinations of shields and hull with the ability to reinforce themselves against attacks. 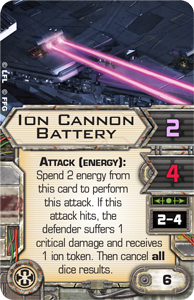 Finally, they can use "energy" to recover from the damage they've been dealt or to power all manner of weapons systems and other tools that can make them brutally effective war machines. 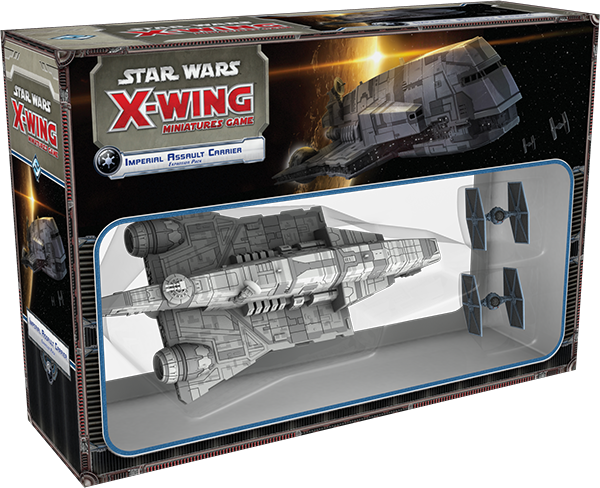 Now these huge ships get a huge boost from the Imperial Assault Carrier Expansion Pack. Of its twenty-six upgrades, twenty-one are for use only with huge-base ships, and sixteen of those can be used with any huge ship, not just the Gozanti. 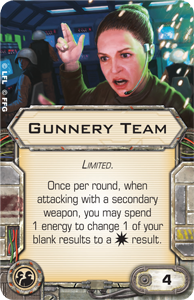 These include two new Huge ship only crew, the Ordnance Experts team, a cargo upgrade, and three new Huge ship only modifications that simultaneously present you with potent abilities and important choices about how best to outfit your ships. First of all, the difficult choices likely don't begin with whether or not you outfit your Gozanti or other huge ship with a modification; the difficulty likely begins when you have to choose between your available options. 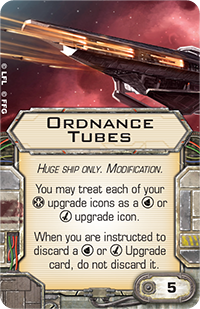 At just five squad points each, Automated Protocols , Optimized Generators , and Ordnance Tubes are all fantastic bargains and the sort of upgrade that can easily define the role your huge ship is meant to play within your fleet. 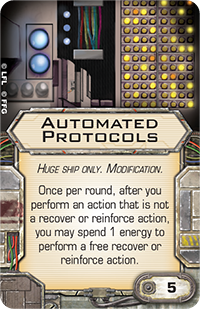 Automated Protocols is an excellent defensive upgrade, and the free reinforce or recover actions that it grants you allow you to focus more on your ship's other abilities and use them to shape the course of combat. For example, a Gozanti-class Cruiser equipped with Automated Protocols could use its coordinate ability more liberally to grant actions to your other ships. 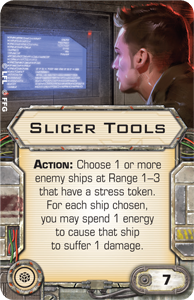 Or you could equip a Broadcast Array to start jamming enemy ships, assigning stress tokens to them, even as your Automated Protocols allow you to maintain your focus on your defenses. 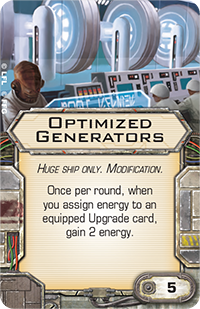 On the other hand, Optimized Generators are good for any huge ship that is built to spend energy on its upgrades. 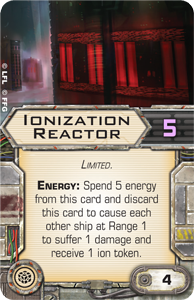 If you're running a Gozanti with an Ionization Reactor , Shield Projector , or Slicer Tools , the Optimized Generators modification will help you fuel them more often. Of course, they're not just for use with the Gozanti. 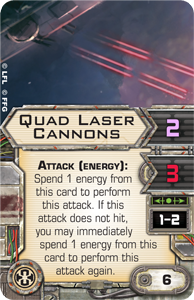 A Raider-class corvette loaded for battle with Ion Cannon Batteries and Quad Laser Cannons will be able to fire them more reliably, round after round, and you'd also have more energy to increase your attacks' accuracy with a Gunnery Team . 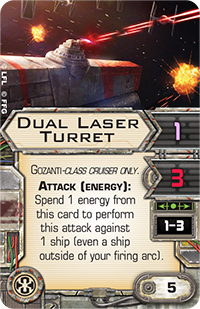 Equipped with an Ionization Reactor, Docking Clamps , Dual Laser Turret , Tactician , Shield Technician , and Optimized Generators, this Gozanti-class Cruiser packs a deadly first punch, as it is capable of slamming into battle, ionizing and damaging all ships within Range "1," opening fire with its Dual Laser Turret, and then deploying its TIEs to clean up the remains. Finally, the Ordnance Tubes modification allows you to convert any number of your huge ship's hardpoint upgrade slots into missile or torpedo upgrade slots. 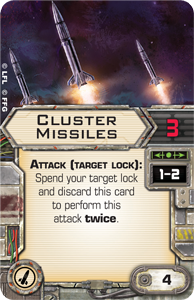 More than that, however, it also allows you to ignore any text that would force you to discard your missile or torpedo upgrade, meaning you can fire them an unlimited number of times. On the Gozanti, this modification would allow you to threaten the massive portion of the battlefield encompassed by its wide front arc with whatever missile or torpedo you've equipped. It's important to remember, here, that it's not just the potential damage that's threatening; the secondary effect of your ordnance can make as much or more of an impact. 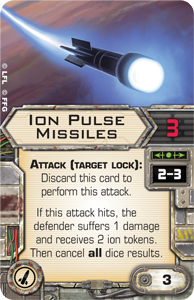 Imagine, for example, your Gozanti equipped with Ion Torpedoes that it can fire round after round before it surges forward to crush the smaller ships it has ionized. Alternatively, you could use Flechette Torpedoes or Assault Missiles , either of which would be effectively unlimited. 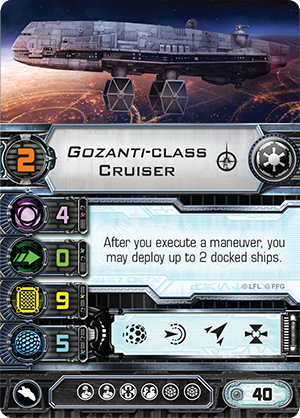 However, as much versatility as the Ordnance Tubes modification can add to the Gozanti, the Gozanti-class Cruiser isn't even the best candidate for the upgrade. 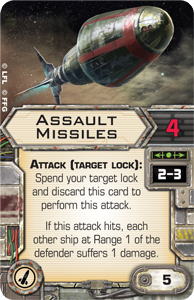 First of all, the Gozanti can equip the Dual Laser Turret for the same five squad points that the Ordnance Tubes would cost, and were the Gozanti to equip the Ordnance Tubes, it would only be able to equip a single missile or torpedo upgrade, as it has only a single hardpoint. 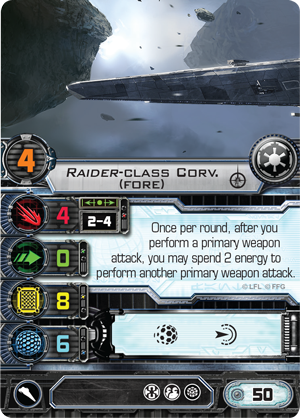 On the other hand, the Raider-class Corvette has three hardpoints, meaning it could equip as many as three different types of missile and torpedo upgrades. 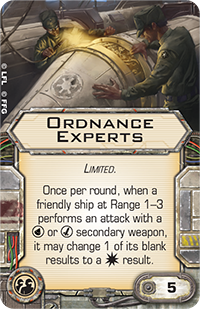 If you really want to understand the impact of the Ordnance Tubes modification on X-Wing Epic Play, you should take a moment, here, to imagine the terrifying battlefield presence of an Impetuous loaded with Ordnance Tubes, Ion Torpedoes, Ion Pulse Missiles , Cluster Missiles , a Gunnery Team, and a Weapons Engineer . 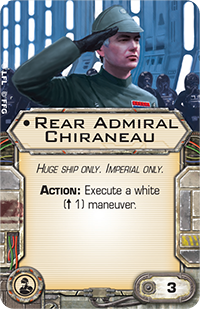 Any fighters that you catch in range stand at risk of being ionized, and if they're in your front arc, there's a good chance you'd be able to maneuver your Raider to overlap and obliterate them, which is something that becomes even easier if you use the new Rear Admiral Chiraneau crew upgrade from the Imperial Assault Carrier Expansion Pack. 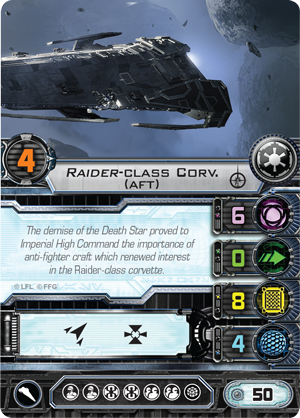 The Imperial Assault Carrier Expansion Pack offers a boost to all your huge ships, not just the Gozanti. 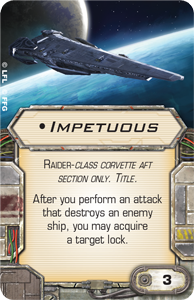 Loaded with Ordnance Tubes, Ion Torpedoes, Ion Pulse Missiles, Cluster Missiles, a Weapons Engineer, and a Gunnery Team, the Impetuous is a terrifying war machine capable of quickly obliterating multiple starfighters. With the new tactical options that the Gozanti-class Cruiser and the Imperial Assault Carrier Expansion Pack's new upgrades add to your huge ships, your X-Wing Epic Play battles are bound to be bigger, bolder, and more dynamic than ever before. Your huge ships will be able to play a wider range of roles within your fleet, and that means they'll do more than ever to enhance the massive scope and distinctive play experience of X-Wing Epic Play and those Cinematic Play missions that permit you to field Epic ships. 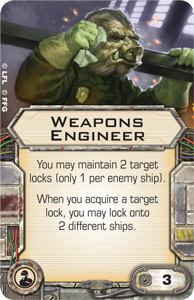 Look for the Imperial Assault Carrier Expansion Pack, its Gozanti-class Cruiser, and its many upgrades to increase the scope and thematic appeal of your Epic Play matches when it arrives at retailers in just a few weeks!